While the object itself might appear familiar as the curved rulers of a textile handloom, its material qualities differ dramatically from the original. 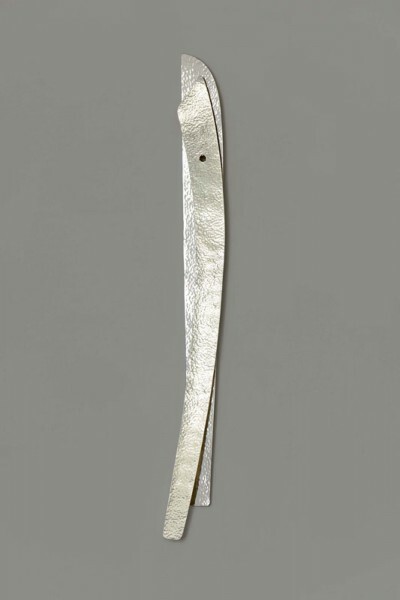 Normally an unglamorous wooden tool of the skilled textile trade, the object displayed would otherwise never be cast in sterling silver unless touched by the hand of the artist. Ayşe Erkmen asserts her power over the object by lending it the title 925, denoting the standard millesimal fineness of sterling silver.